We have moved to a new location - 3810 Sherwood Drive, Suite 120, Sherwood Park, AB T8H 0Z9 - and changed our name to Aspen Eye Care. We are excited to continue serving the area of Sherwood Park in the province of Alberta as we have done for the past 35 years. 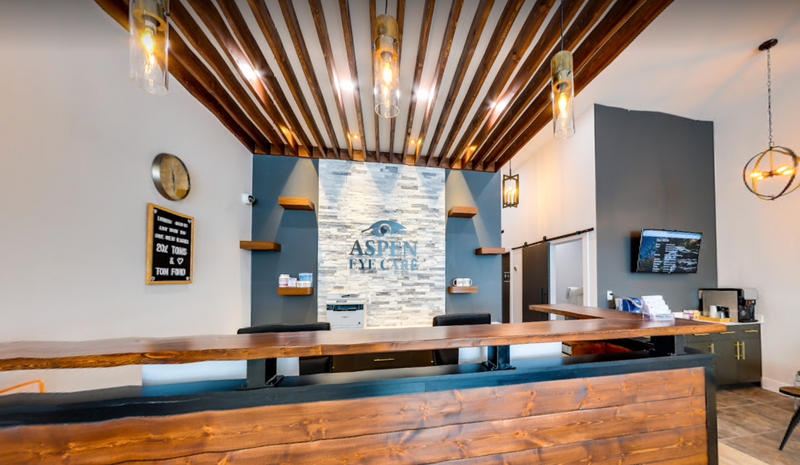 Welcome to our optometric practice, Aspen Eye Care. We serve the areas of Sherwood Park, Edmonton and Fort Saskatchewan, Alberta. Aspen Eye Care (formerly Sherwood Park Eye Care) invites you to visit our new clinic, still located proudly in Sherwood Park, AB. We have served the families of our community and the surrounding neighborhoods for over 35 years, and we look forward to serving you for many more years! Our compassionate and qualified eye doctor, Dr. Aleem Bandali, believes in personalized care for your vision and eye health. Every patient has a unique lifestyle, visual requirements and health needs, and we aim to satisfy every individual. 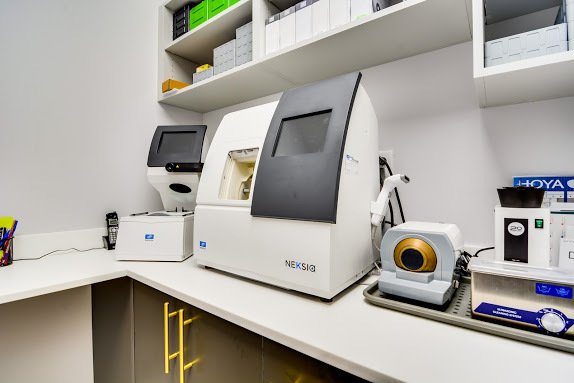 Our Sherwood Park, AB, office is furnished with the most precise, cutting-edge technology to ensure that you receive precise eye exams, detailed diagnoses and modern treatment. If you have an eye disease, such as macular degeneration, cataracts, and glaucoma, we will monitor and manage your condition to promote clear, lasting and healthy vision. Dr. Bandali is experienced in treating a wide range of ocular conditions, including dry eye syndrome. 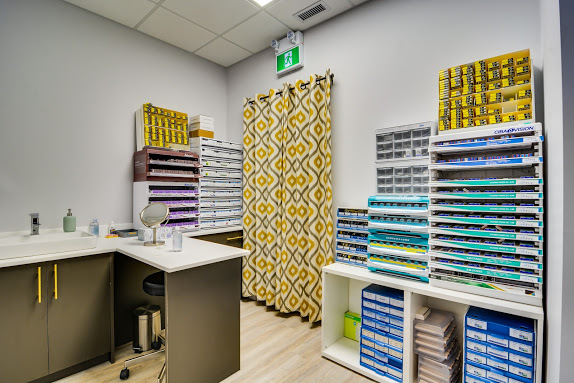 Also, if you experience an eye injury or eye infection, or you require emergency eye care services, our trusted Sherwood Park optometrist will perform a thorough eye exam to identify the problem and treat it effectively. Need new eyewear? Please stop by anytime to look through our fantastic display of designer frames and sunglasses. We have eyeglasses to complement every style, face, and vision condition. 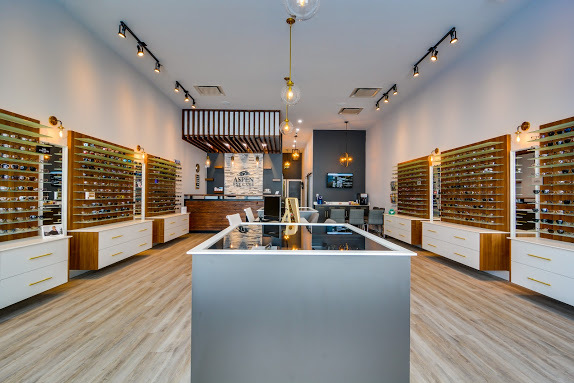 After your visit to Aspen Eye Care, we encourage you to take a closer look at all that our city has to offer! Did you know that although Sherwood Park has a large enough population to qualify as Alberta’s seventh largest city, it still retains its original status as a hamlet? Sherwood Park dates back to 1955, when it was founded on the Smeltzer family’s farmland, just east of Edmonton. Since a hamlet is defined as a settlement of humans with a clear geographic boundary, made up of more than four residences, with a name and with non-residential land – Sherwood Park still fits the bill! To spend time enjoying the natural scenery of our favorite hamlet, we recommend that you wander through the trails at North Cooking Lake Natural Area. This Sherwood Park recreation area has many winding trails for hiking and observing local wildlife, such as moose, deer and snowshoe hare. Shaded picnic spots are plentiful, complete with firepits. Another location to appreciate the great outdoors of Sherwood Park and Alberta, is at the Strathcona Science Provincial Park. You can paddle the lake, cross country ski, and snowshoe while overlooking the North Saskatchewan River and gazing at a lovely view of the Edmonton skyline. Visit the life of early Ukrainian pioneers who settled the lands of Albert around the turn of the 19th century with a trip to the Ukrainian Cultural Heritage Village. This open-air museum puts history on display with role-players in period costume. There are more than 35 restored and relocated buildings, including a one-room school, blacksmith shop, grain elevator, sod house and three churches. Beware of the horses and wagons ambling by as you walk the dirt roads. Festival Place is a lively multi-functional venue for community arts and business. This entertainment destination is the focal point of Centre in the Park, a new community development in Sherwood Park. Artists of all types – amateur and pros- are welcome on the stage, and Festival Place takes pride in presenting Alberta with outstanding programming and diversity. The sound system here is awesome, with acoustics and a layout that enables every attendee to hear and see clearly. A surprisingly popular site to educate yourself and absorb local (and global) culture in Sherwood Park is at Strathcona County Library. Alongside the incredible collection of books, CDs, movies, and magazines, there is also a charming coffee shop and booths for friends to gather. When the weather is right, you can also sit outdoors and relax amidst the blossoming flower boxes. We hope you love the sites of Sherwood Park as much as we do! To continue making the most of our picturesque local hamlet, remember to schedule regular eye exams at Aspen Eye Care. Do you have a red, irritated eye? Have you recently noticed a sudden change to your vision? Perhaps you got something in the eye, or maybe it just hurts because you injured it. Whatever the reason, Dr. Bandali will ensure that it is treated appropriately. Why wait in the emergency room for hours, when you can be seen the same day within minutes? All emergency visits are covered by Alberta Health Care so you don't have to worry about any out of pocket expenses. Take a virtual tour of the practice!